Analysis: Is China getting the ‘cli-fi’ it needs? In 2012, the high-tech ships used to save humanity are made in a Chinese factory. Photo from 2012. As China has emerged as a global power playing an active role in international affairs, its filmmakers have found willing audiences for films heavy on action-packed shootouts, kung-fu heroes, and the defeat of foreign enemies. The plots of Operation Mekong, Operation Red Sea and Wolf Warrior are some of the best examples. The tropes are much the same: a poor, backwards and dangerous country with rebel armies, failing Western-style aid, and outnumbered Chinese heroes saving the day. The nationalism underpinning these films has garnered box office success, even though the overblown plots are at odds with China’s real-world “wait and see” approach to most international and regional issues. It is a pity, then, that filmmakers are ignoring a subject where China is emerging as a leader on the global stage, that is, on climate change. It’s hard to know if there are many Chinese fans of “cli-fi” movies – those rare films that take climate change as their subject matter. If there are, they may have noticed the growing reference to China in Hollywood films with climate themes. Take for example, the 2017 blockbuster Geostorm, which did well at the Chinese box office but had poor reviews. In it, a satellite system designed to avert natural disasters and fix global warming by modifying the weather is weaponised, threatening disaster. As the film starts, we are told that China and the United States are leading the planet’s best scientists in their (misguided) attempt to deliver fantastical climate engineering solutions that can save humanity from heatwaves and cold snaps. China soon disappears from the story though after Chinese-American actor Daniel Wu is killed off, leaving the film to get back to its conventional plot in which a white male hero saves the day. One of the best known cli-fi movies so far, 2012, has plot elements that involve China more prominently. As huge floods threaten humanity’s future, China’s factories come to the rescue, working day and night to produce high-tech floating arks before the waters rise. But as David S Roh and others have pointed out, myths of Asia’s technology and manufacturing prowess are just another method of objectification and mystification – a type of techno-orientalism. Chinese-American actor Daniel Wu had a small role in Geostorm but was killed off before the halfway point. Photo from Geostorm. Historically, climate change has not lent itself easily to films outside of documentaries, or effects-driven disaster movies like The Day After Tomorrow, meaning there are few cli-fi examples. And it isn’t hard to understand why China’s climate leadership fails to make it into the scripts of US films. If Chinese filmmakers are failing to acknowledge China’s role, can Hollywood be expected to? Look to China and we find, to our surprise, that Chinese cinema has done even less than Hollywood to reflect the country’s important international role in tackling climate change. In fact, 18 years into this century, there has not been one notable film that deals with the topic, although there are quite a few good films that look at the human and environmental costs of China’s rapid development. It is not that Chinese filmmakers cannot see opportunities to cash in on China’s growth as a global power; recent films portray China as taking on global, not just regional, responsibilities. In this year’s Operation Red Sea, for example, Chinese special forces don’t just rescue Chinese nationals from turmoil in the Middle East, they also seize the chemical precursors of a nuclear weapon from rebel hands, helping to avert a global disaster. These films tap into a desire among Chinese audiences to see their country flex its muscle, but the fantasy element can go too far and seem absurd. Given the rich tradition of cinematic realism in China, there is a great opportunity to tell the story of China’s rise through the exploration of subject matter that is much closer to reality. An obvious area is climate action, for which China is making global headlines, with its surge of renewable power and electric vehicle revolution. What kind of cli-fi does China need? And it is definitely not impossible to make a film about this topic. In fact, China actually produced a cli-fi movie back in 1990. Feng Xiaoning’s Disappearing Atmosphere looks like a children’s movie, complete with talking cats, dogs and horses. But the storyline is adult. When thieves unwittingly release a gas that destroys the ozone layer, animals help a young boy find the source of the problem. A dog sacrifices itself to eliminate the harmful gas. Ultimately, scientists, children and animals work together to save the planet. The end credits include a long and dull list of pollution statistics, with a clear message: we might have been saved from disaster this time, but China must face up to ongoing environmental degradation. 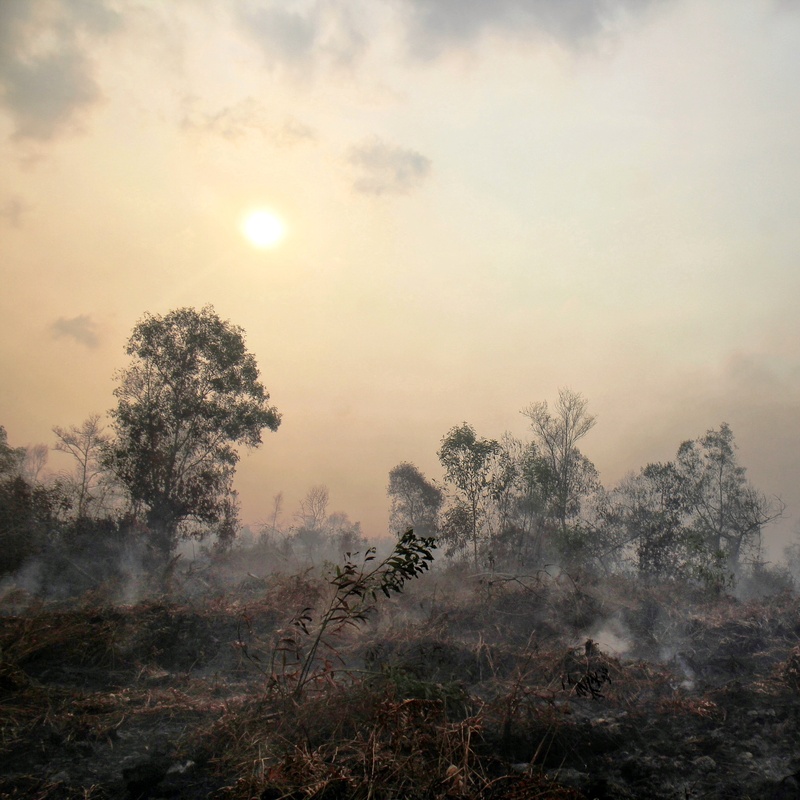 Disappearing Atmosphere: “In the 95 minutes of this film, two species have become extinct and 2,000 hectares of forest have disappeared.” Photo from Disappearing Atmosphere. The movie featured crude special effects and some of the plot arrangements are debatable, but it carried a strong moral message. And in 1990 there was no rapidly expanding solar power sector to discuss, the Ministry of Environmental Protection wouldn’t be established for another 18 years, and Chinese coal consumption wouldn’t plateau for another 23 years. In our current decade concern over pollution and support for an ecological civilisation has risen in China. The results of a survey of 4,000 people carried out by the China Centre for Climate Change Communication, a joint project by Renmin University and Oxfam Hong Kong, published in November 2017, found 78% of respondents expressed some degree of concern over climate change and 89% felt the government should take climate change seriously. However, the same survey found only 11% of respondents know a lot about climate change. But seeing is believing, and perhaps cinema can bring home the reality of climate change. A modern Chinese cli-fi film would help people understand the urgency of this threat to all humanity, and prompt them to take a look at the impacts of their own lifestyles. As for how to make that into a gripping story – well, that’s up to China’s movie makers. First published on China Dialogue.